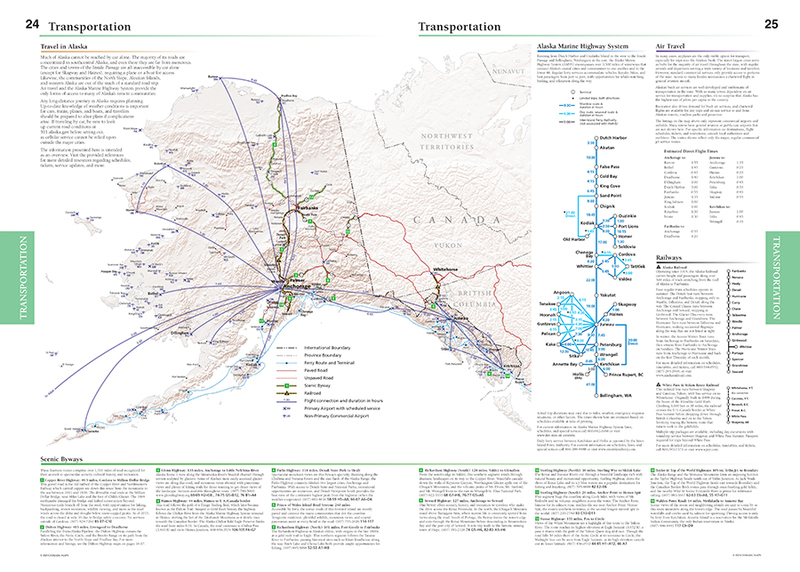 Alaska truly is the Last Frontier. 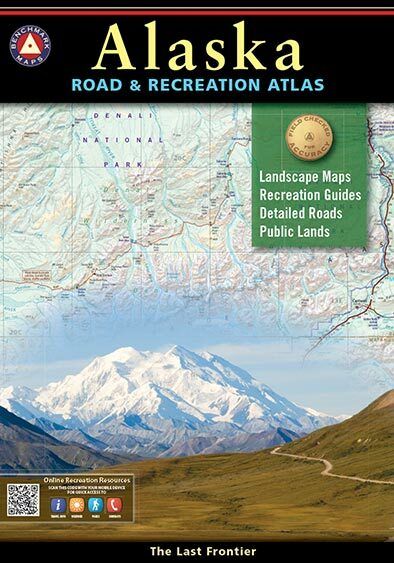 No other publication can display this rugged scenery and recreation potential with more precision than Benchmark’s Alaska Road & Recreation Atlas. 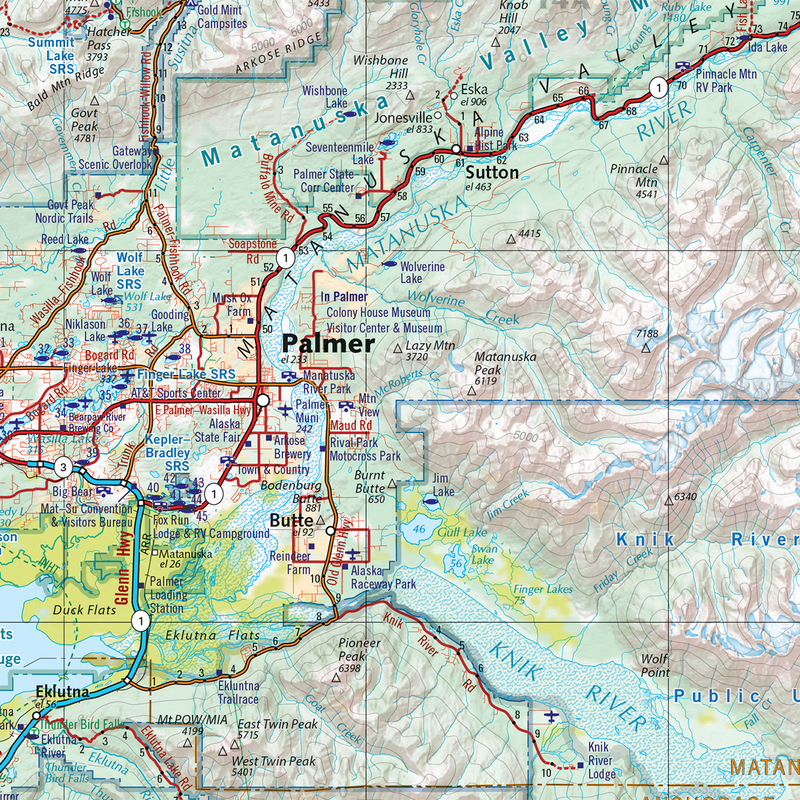 The Landscape Maps reveal landforms with amazing realism and detail, clearly showing how the state’s vast network of roads, waterways, and recreation landmarks fit into the landscape. 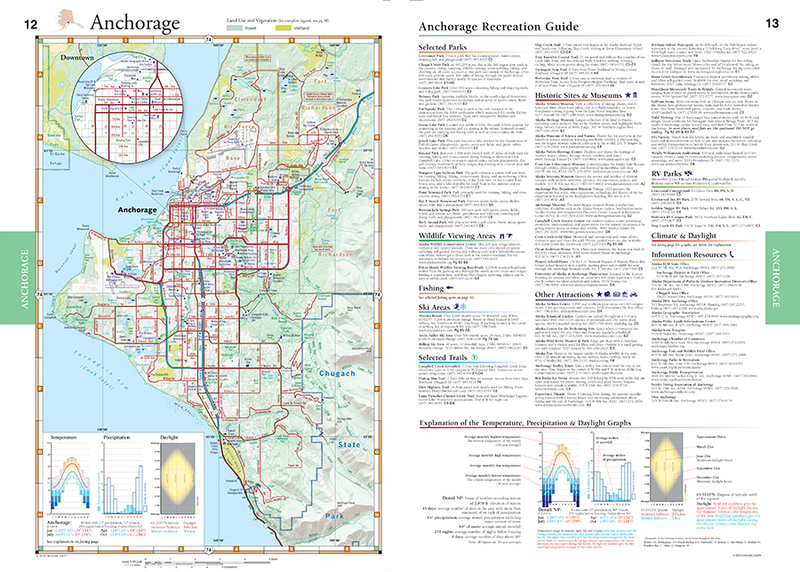 A complete Recreation Guide lists a myriad of outdoor activities. 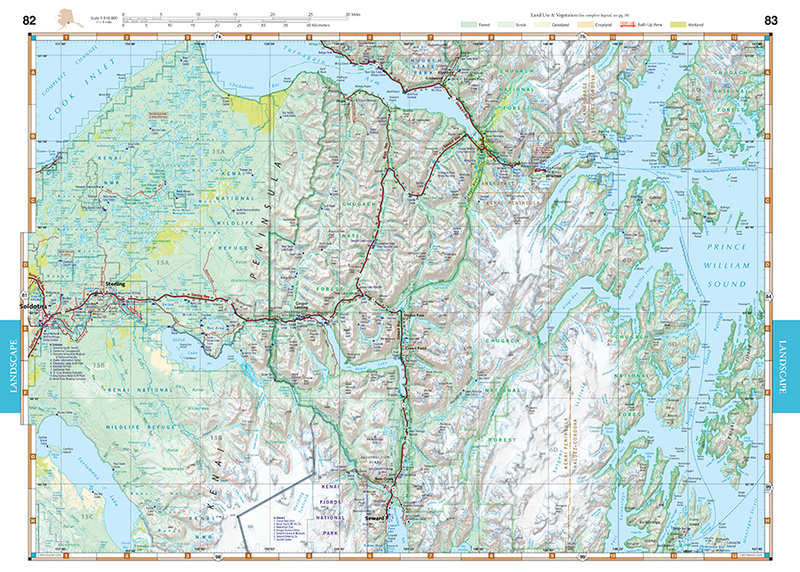 Arranged by category and boasting unequaled insight and detail, it is the ideal planning tool from a simple scouting trip to an extended exploration.